Thank you to John Ross for sending me the photograph above which he took with an old Kodak camera. Within a few hours of adding this photograph to the web site, I received a message from Walter Lyle Hume of Cowes, Isle of Wight. 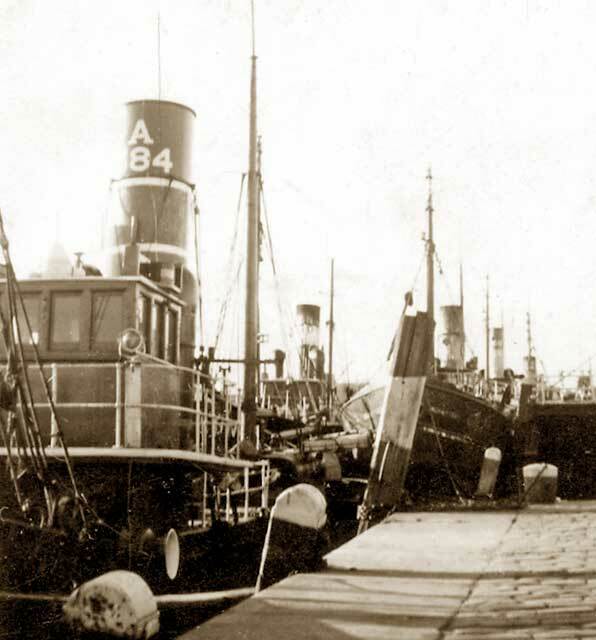 "I am almost certain the boat in foreground, A384, was the 'Kuvera', owned and operated by the Planet Fishing company. - sold to Grimsby and registered GY383. - sold , becoming A384 in 1936. - minesweeper, 1940 to 1945. - came to Granton, 1946. - also sailed from Leith. I wish more of such pictures were posted, helps with the records."